This pattern is easy and fun to crochet, you only need to know how to do single crochet, chain and slip stitch. 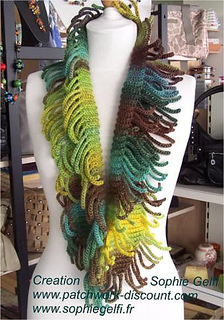 Any variegated or hand dyed yarn can be used. If you use a thinner yarn you’ll have to do more SC in the middle and more rows. Pattern includes clear diagram and text. 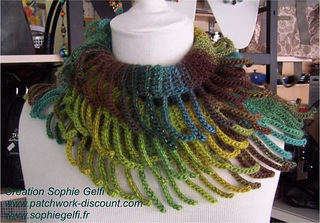 Don’t hesitate to ask if you have any question about this pattern, and also have a look at my other patterns for crochet accessories, shawl, shawlettes, stole etc.